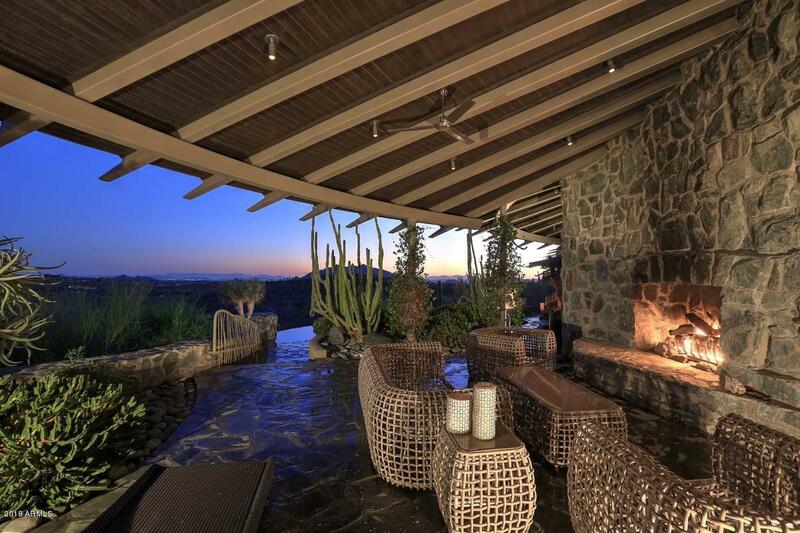 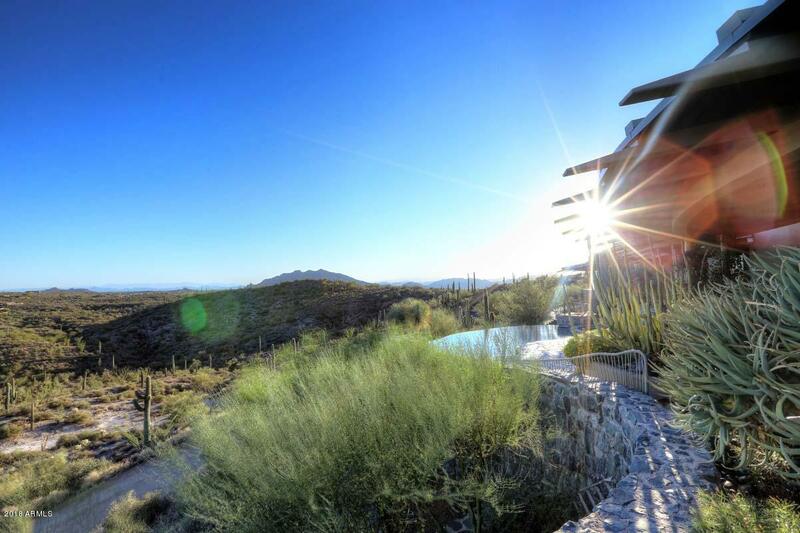 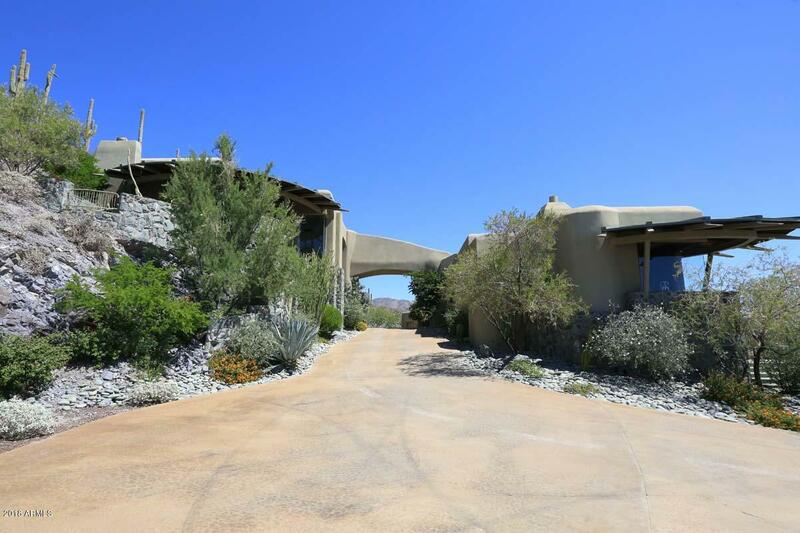 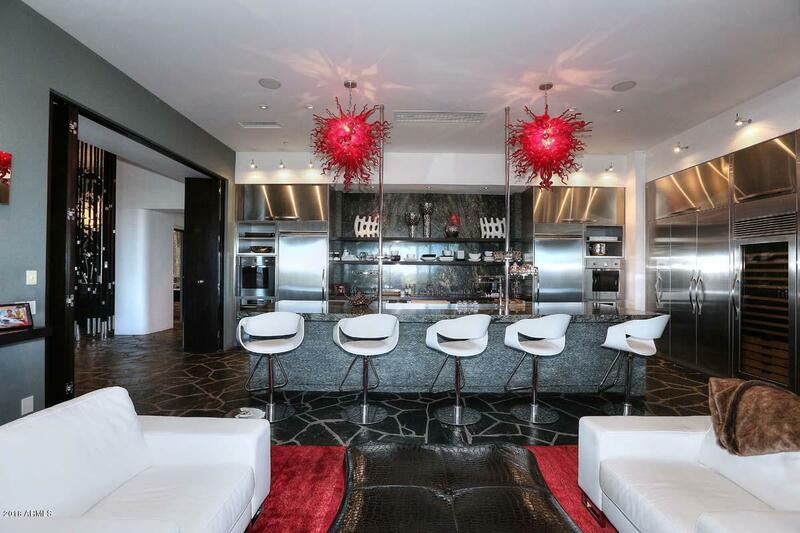 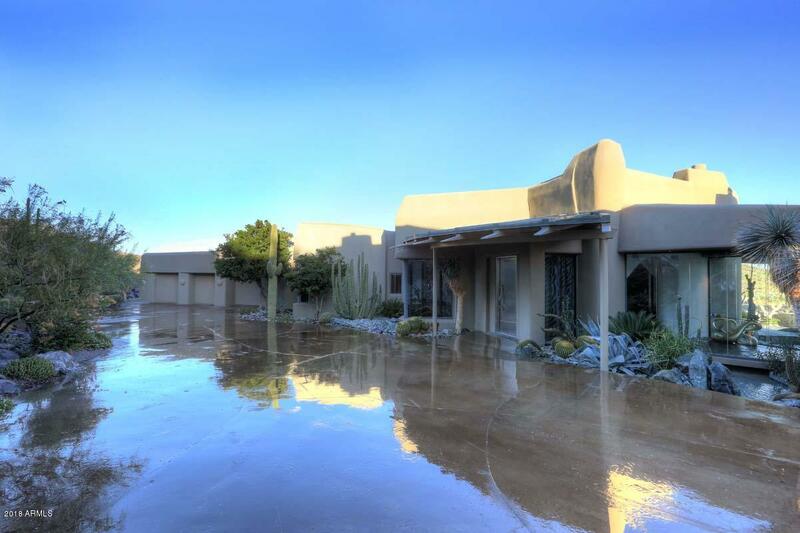 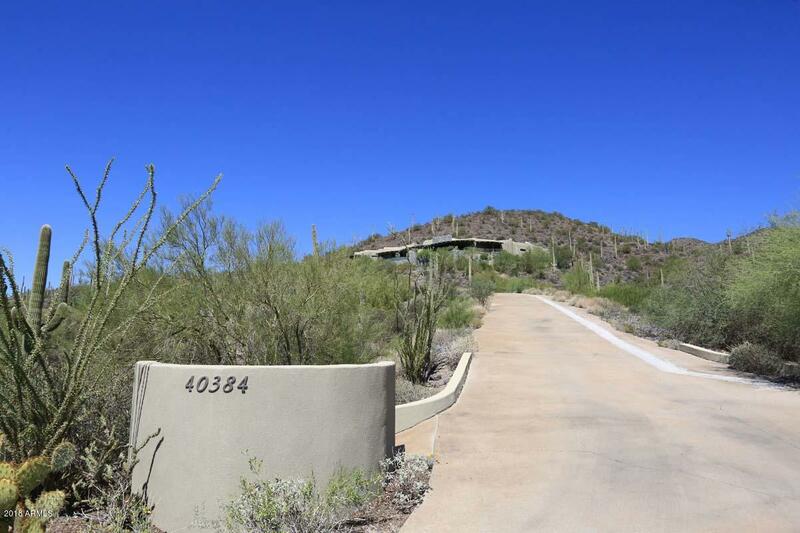 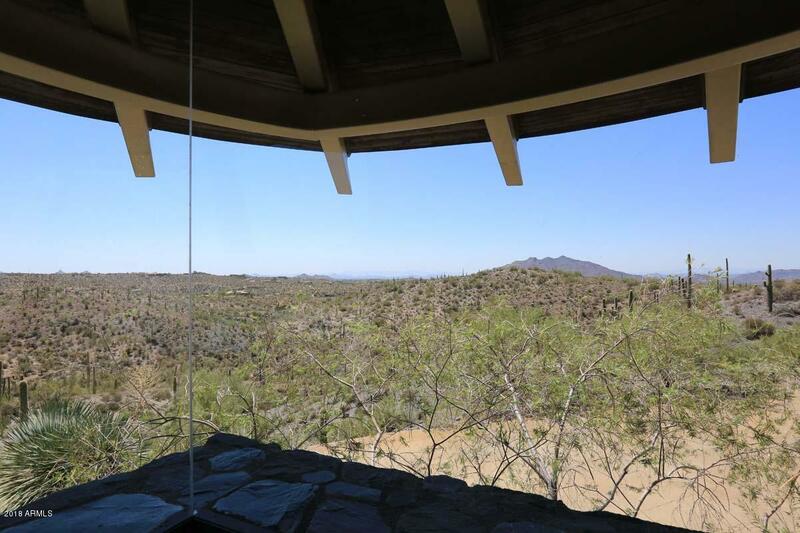 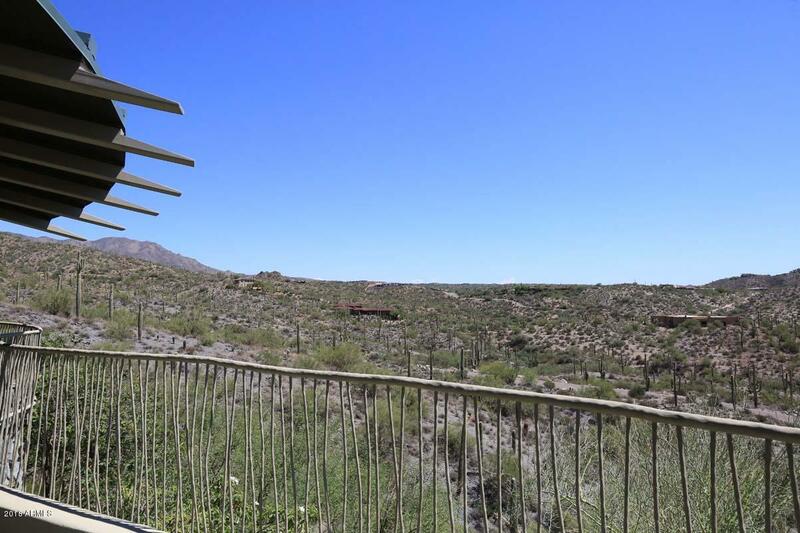 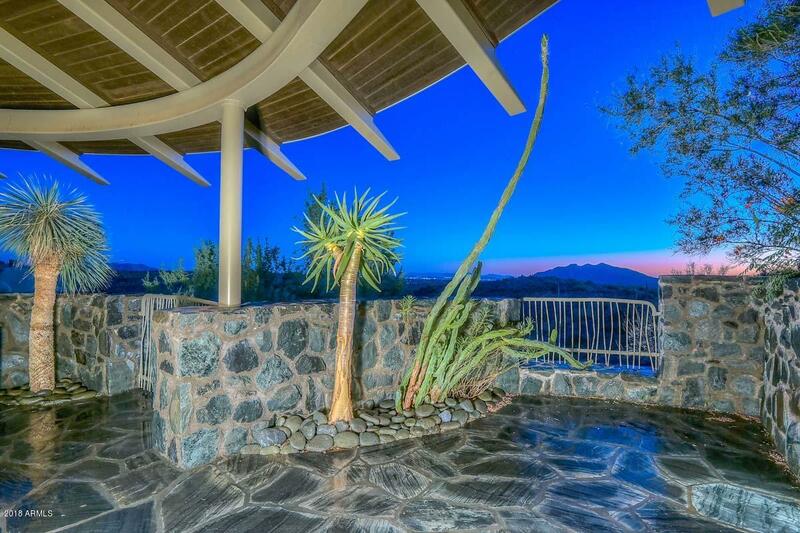 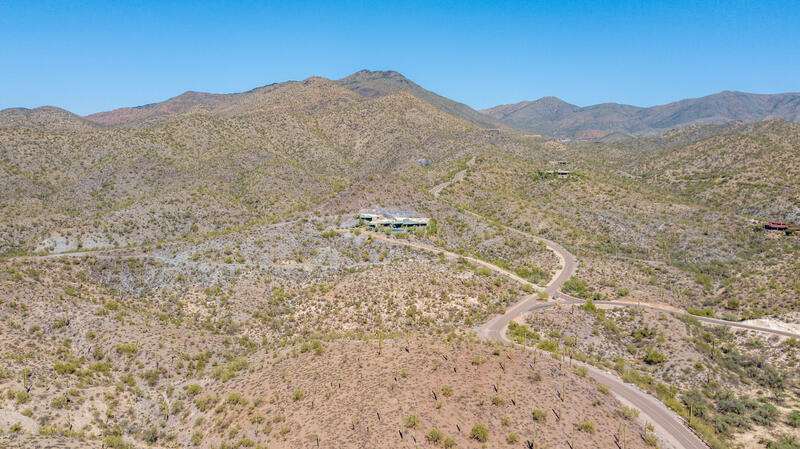 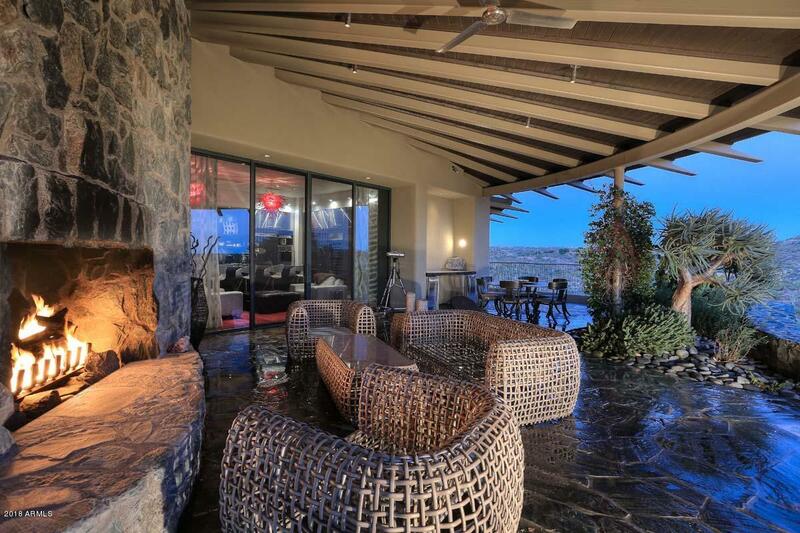 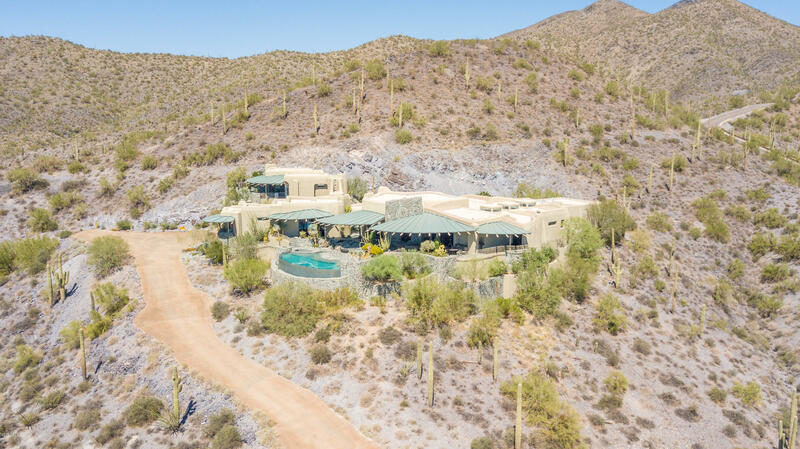 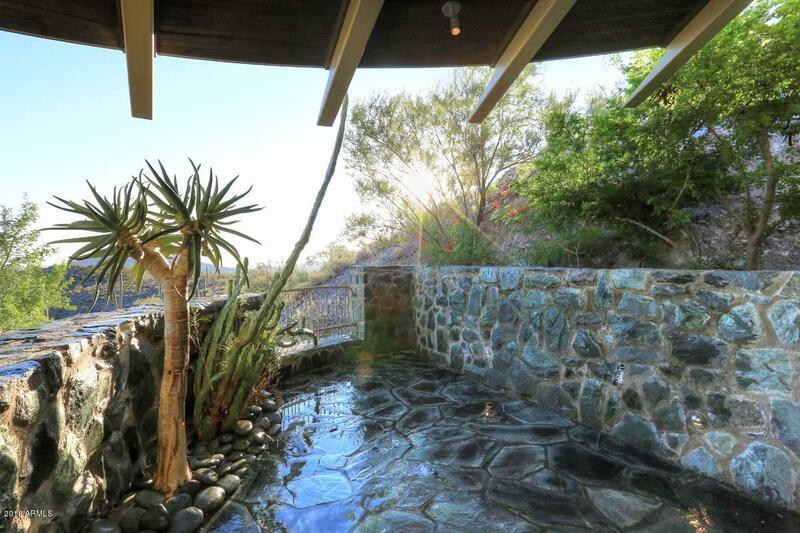 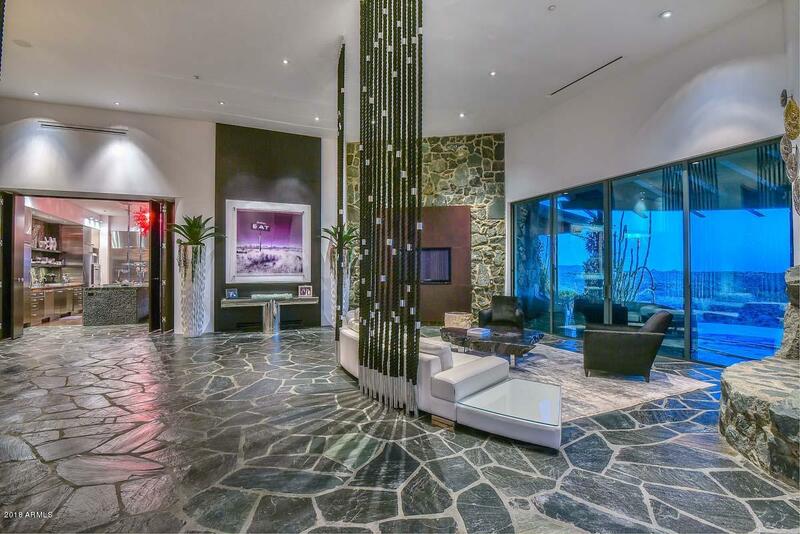 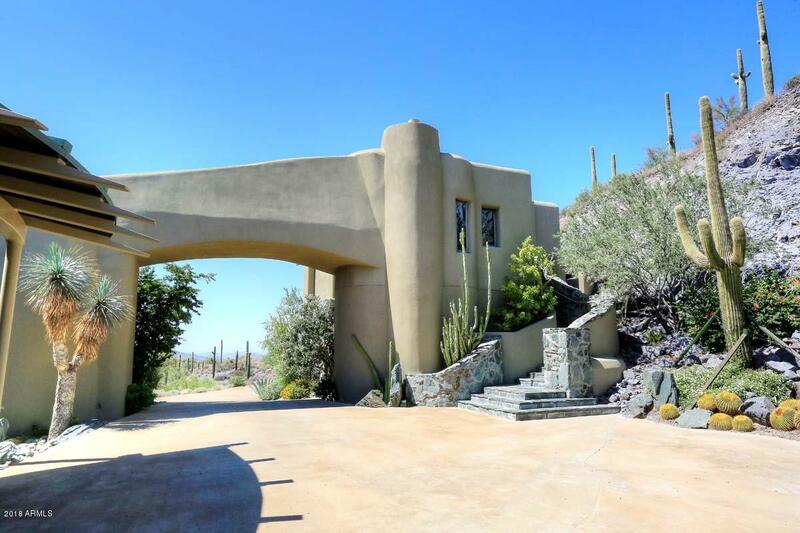 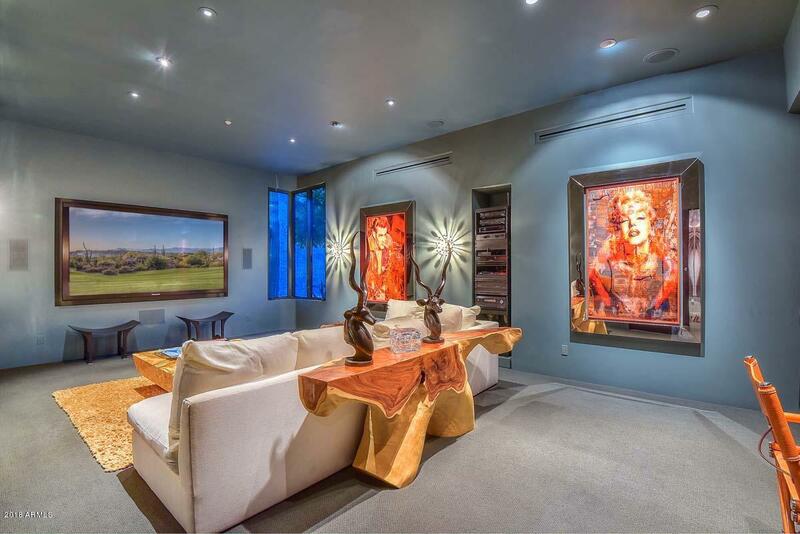 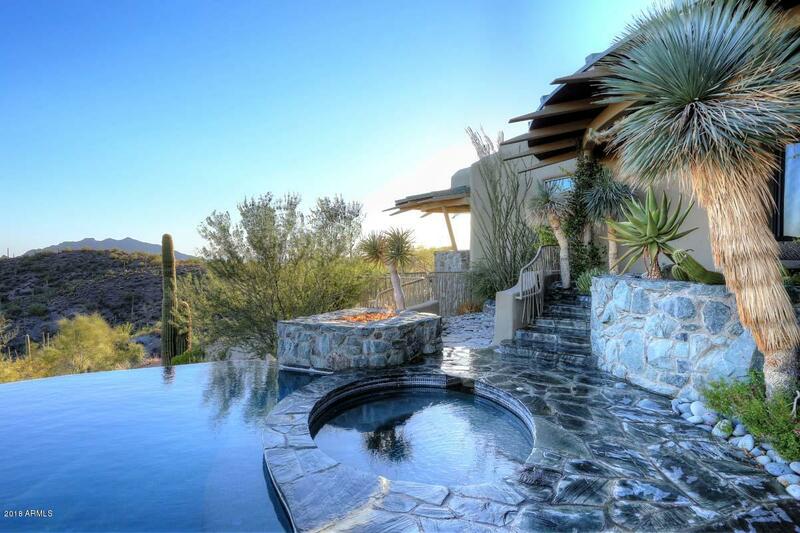 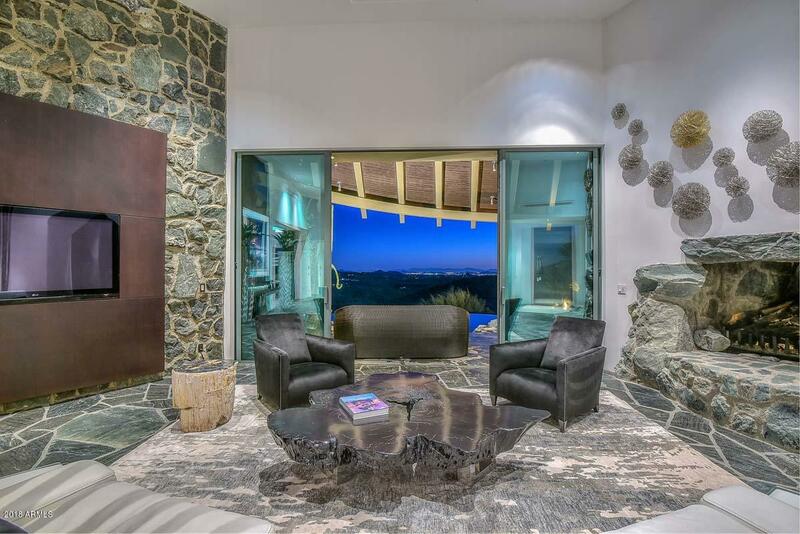 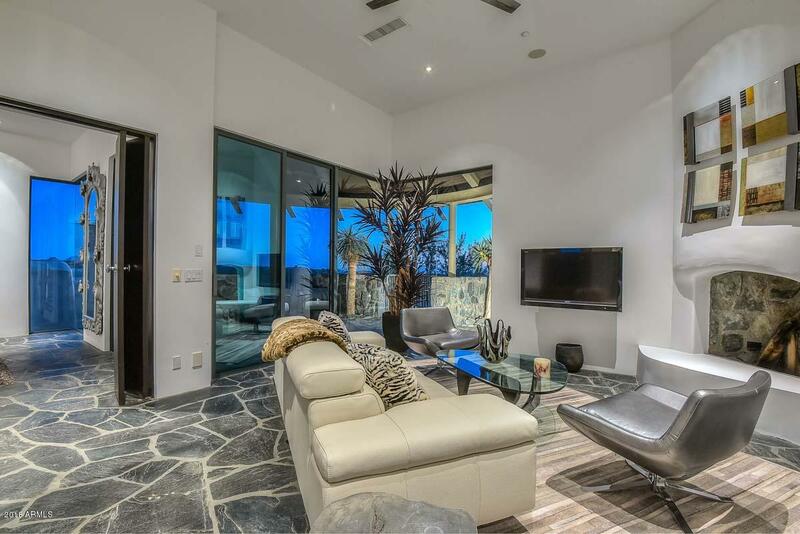 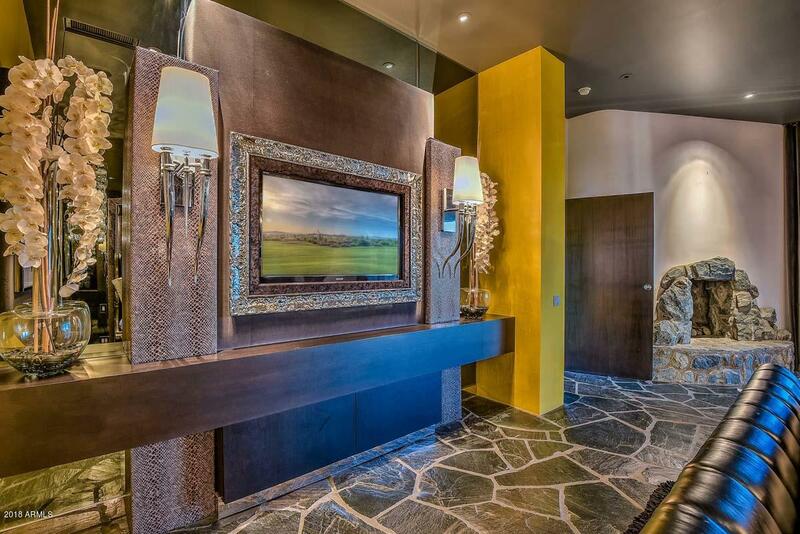 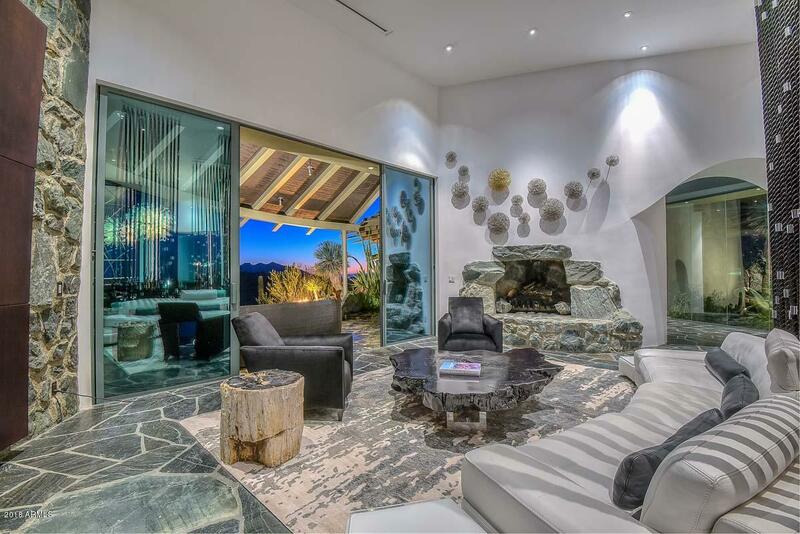 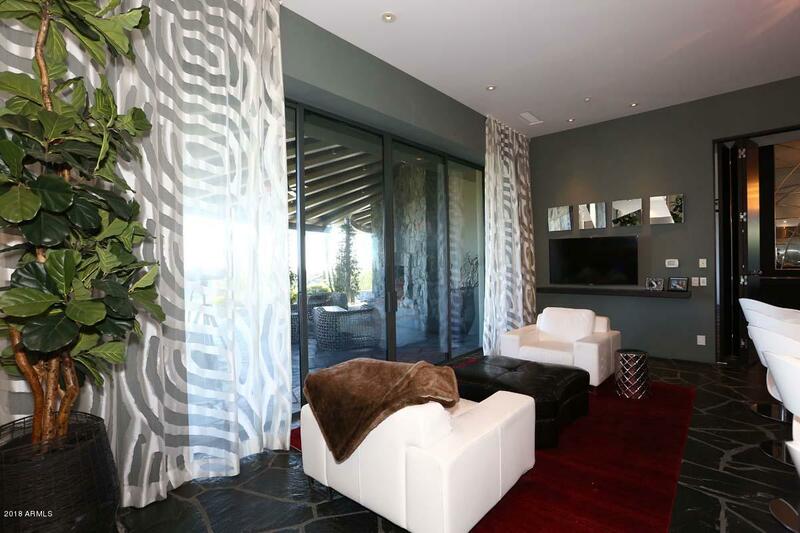 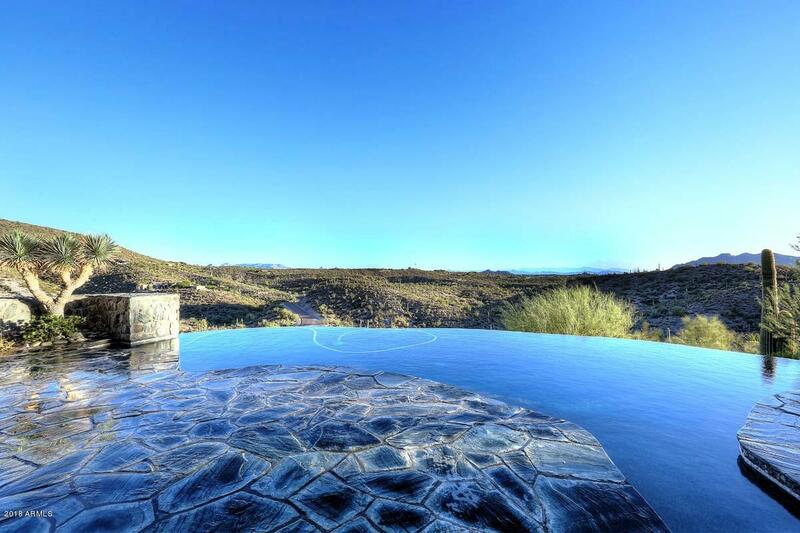 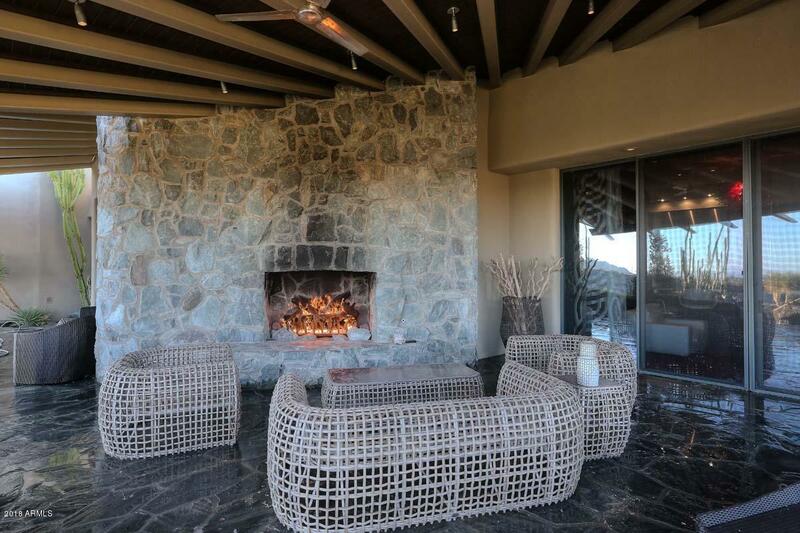 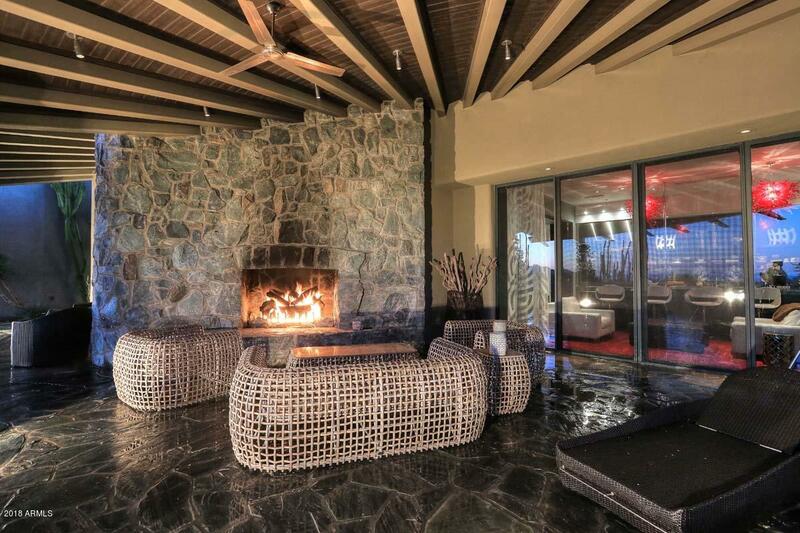 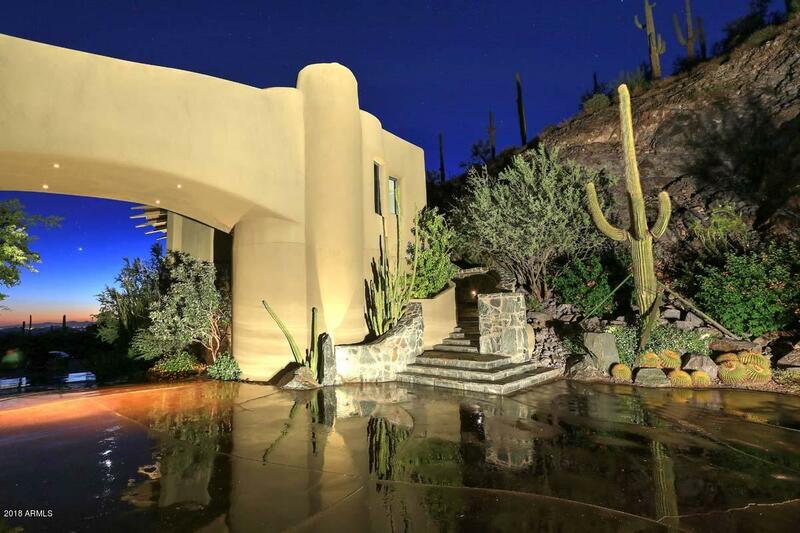 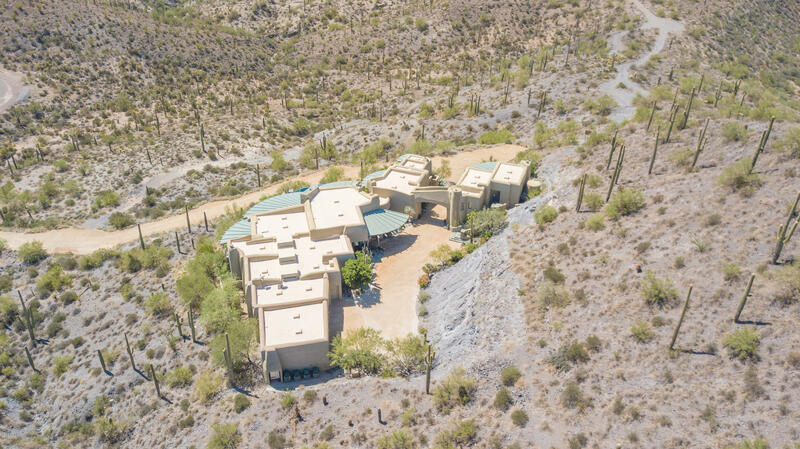 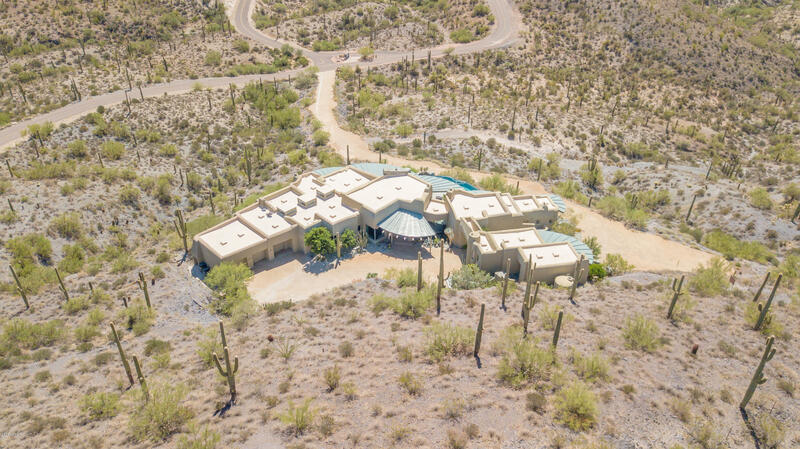 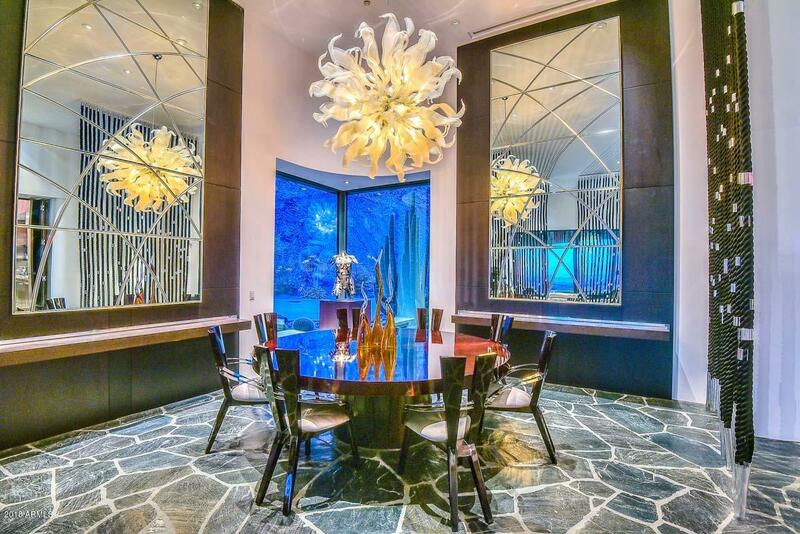 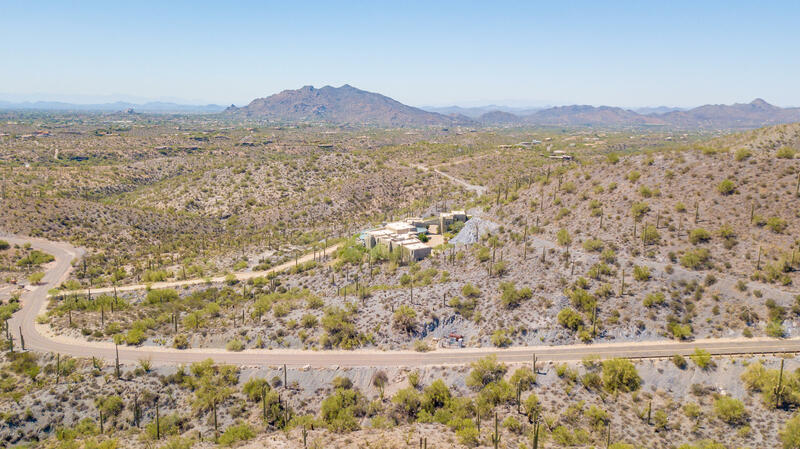 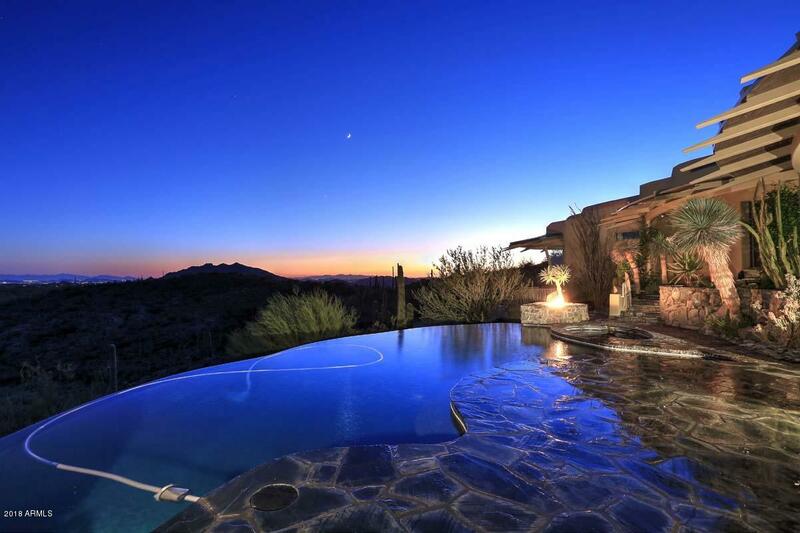 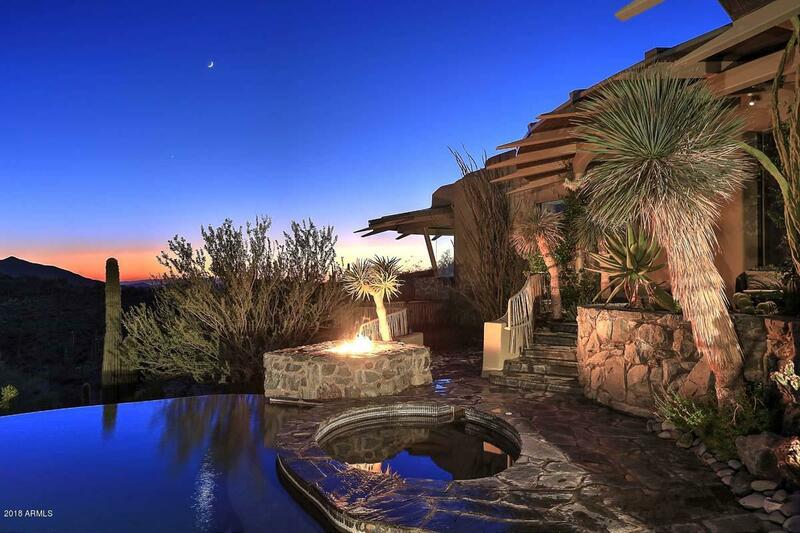 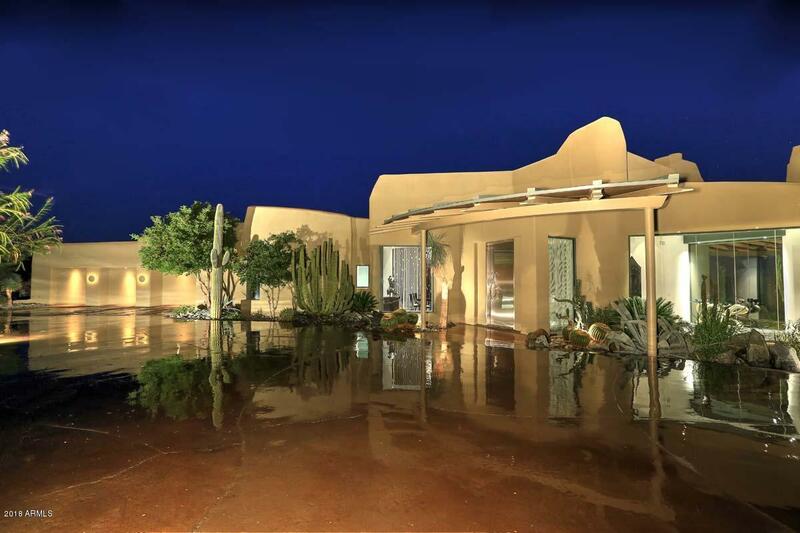 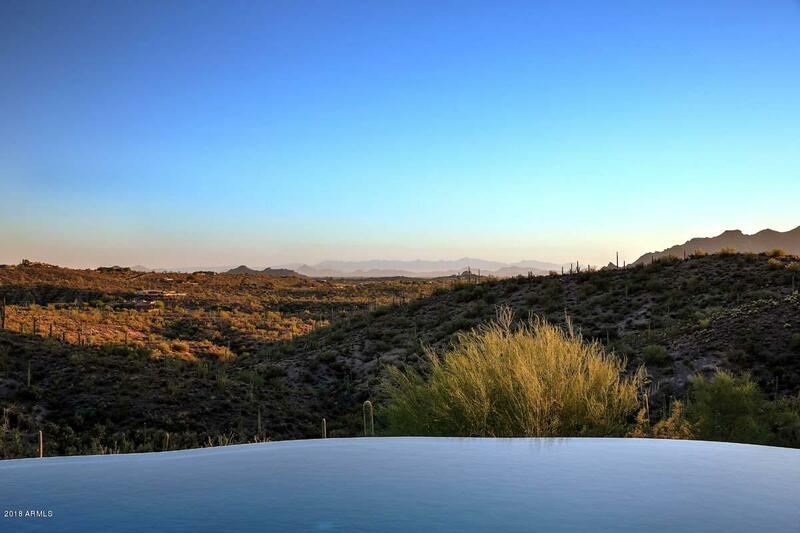 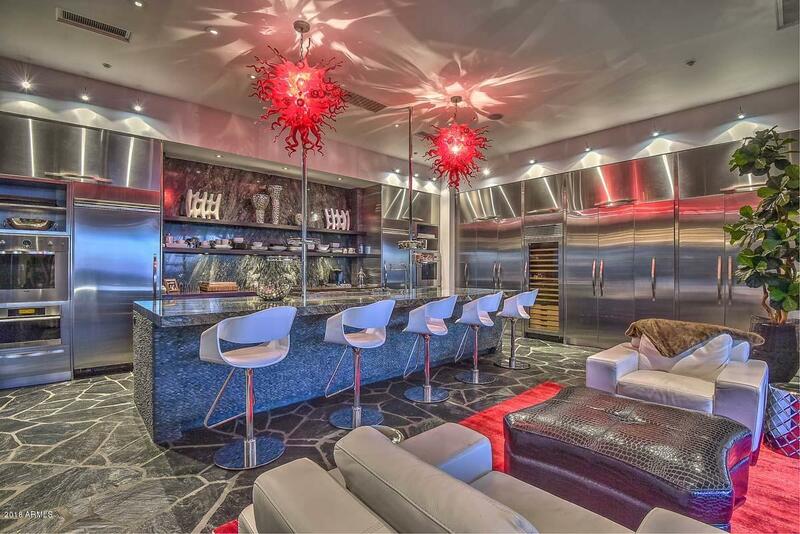 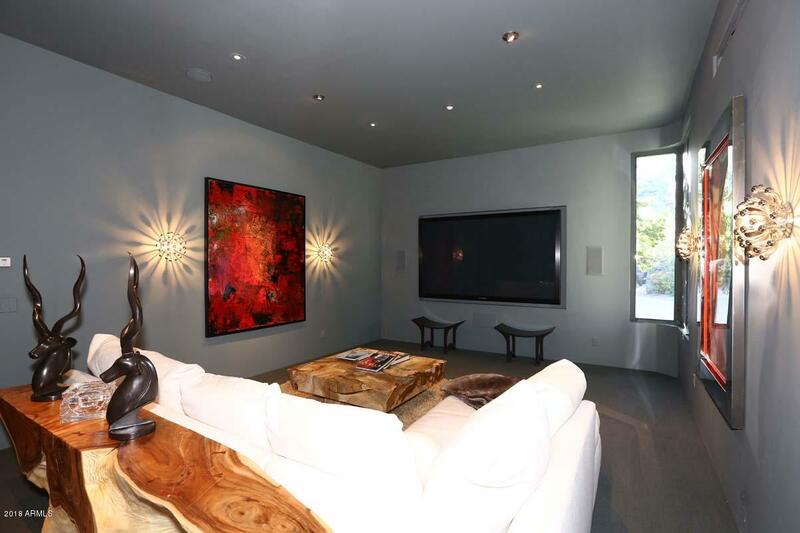 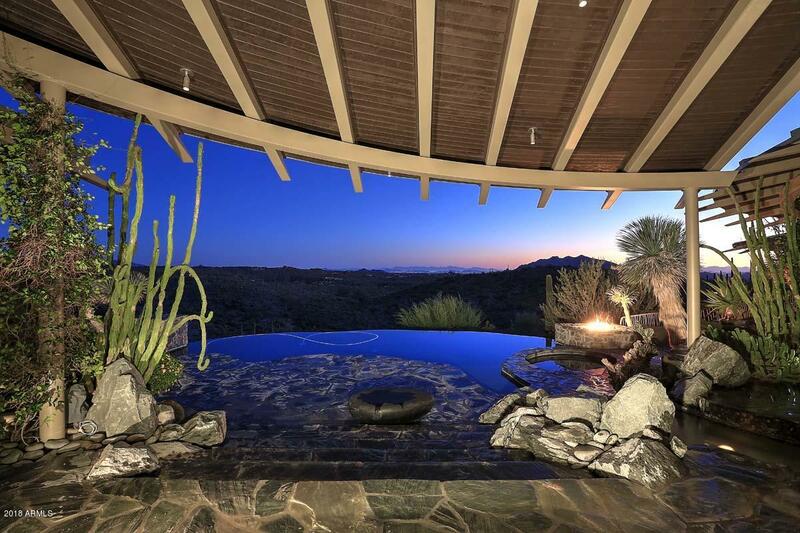 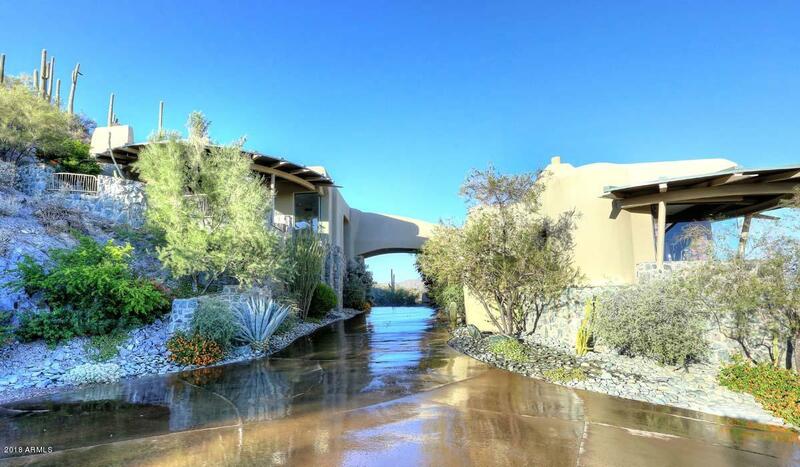 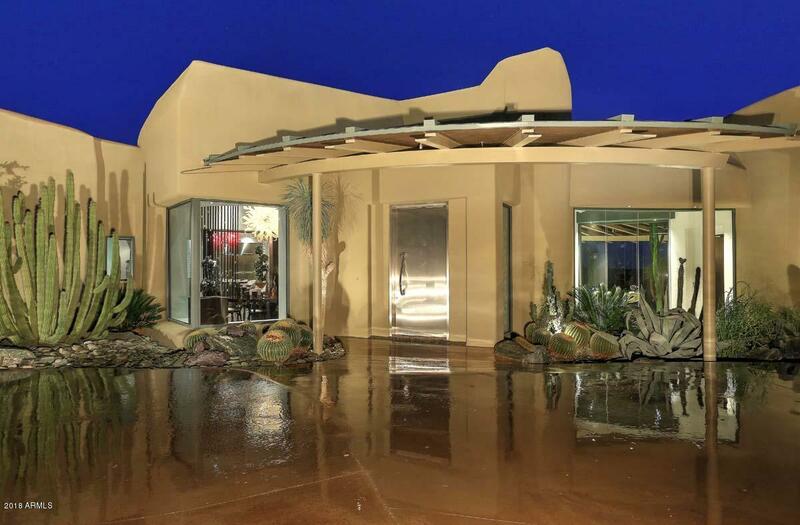 Nestled on a 12 acre parcel among the serene mountain landscape of the beautiful High Sonoran Desert you will find the stunning sculptural masterpiece home that was once known as Sage Shadows. 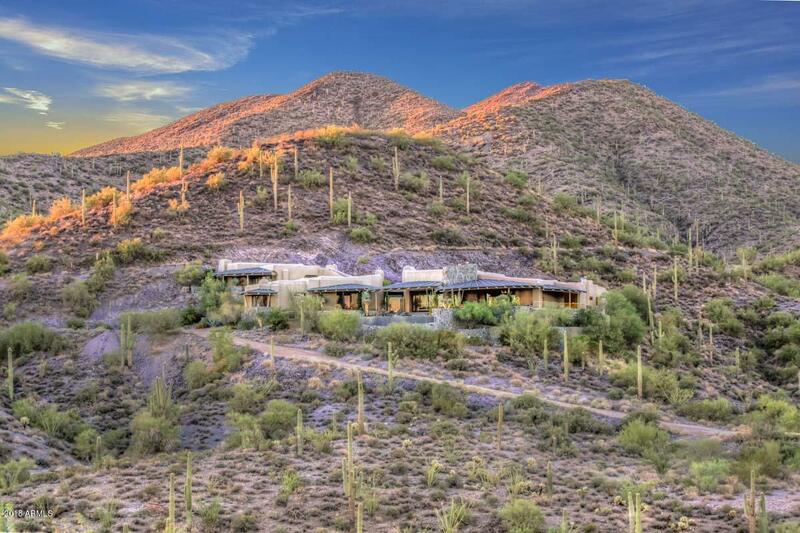 This home effortlessly blends stone, steel and glass with the natural terrain that surrounds it. 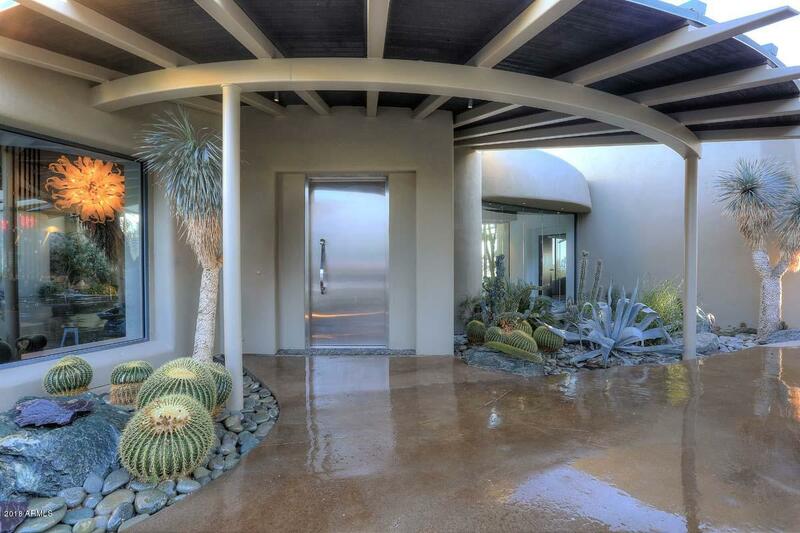 Behind the gates of the ultra private community of Carefree Ranch Homesteads this 6,700 square foot single level home has a 2 bedroom and 2.5 bath main home and a guest home featuring 1 bedroom and 1 bath. 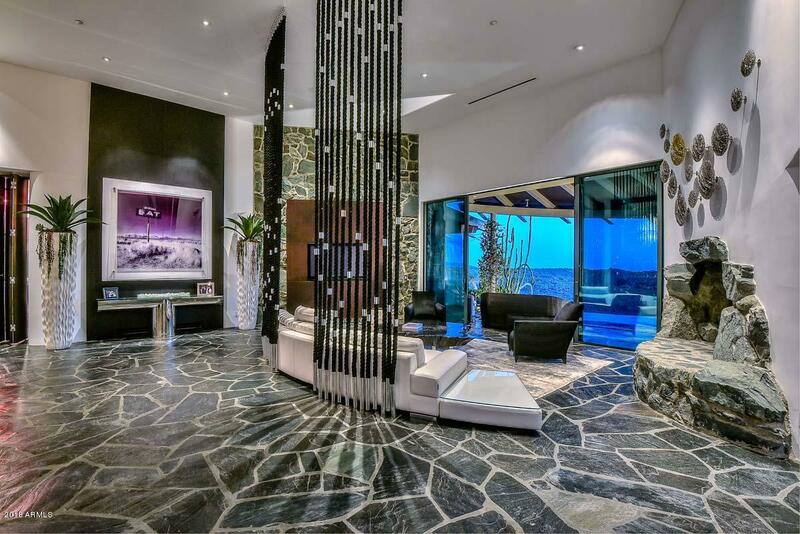 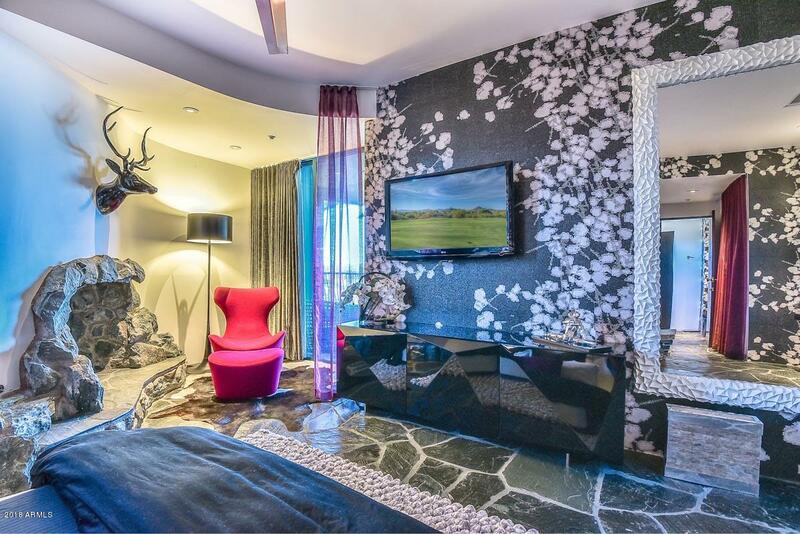 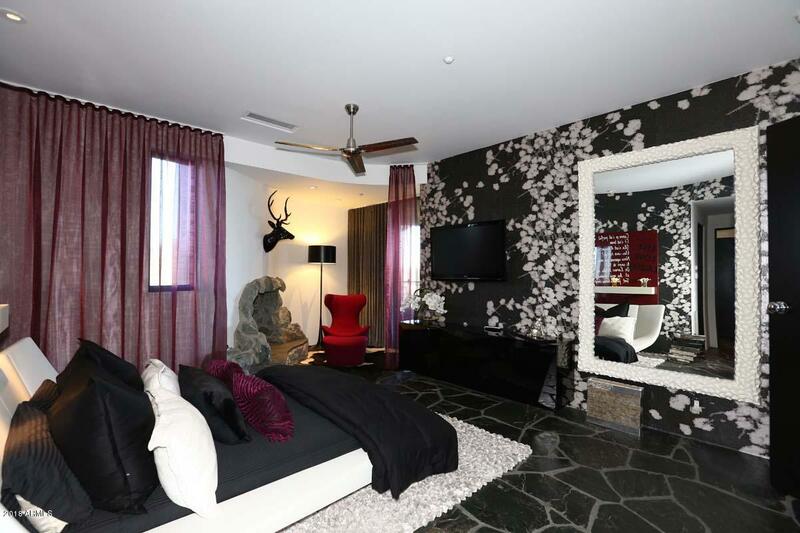 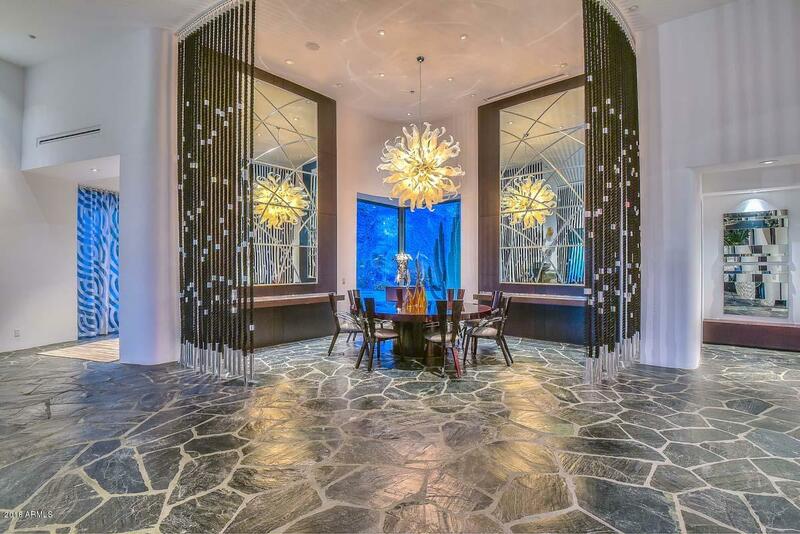 Inside you will find an attention to detail that is second to none. 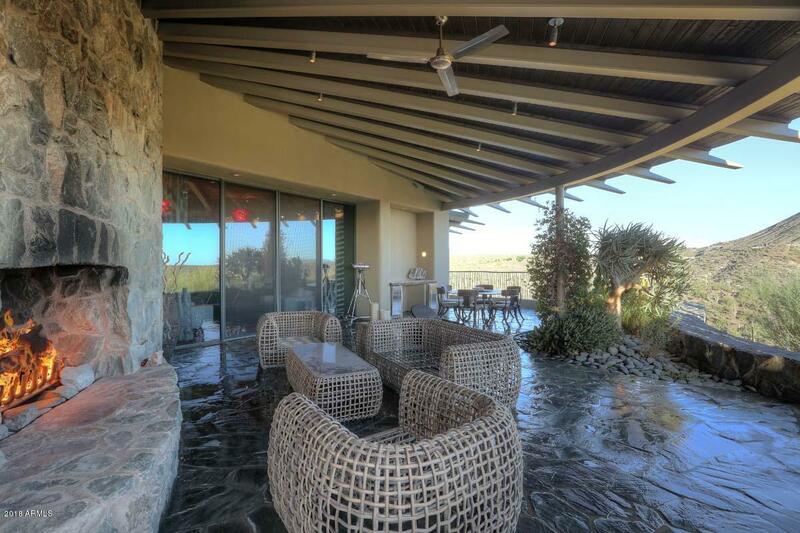 The flooring is a Nag Indian Slate with architectural features throughout including eyebrow arches, butted windows that capitalize on the views and an atrium style hallway. 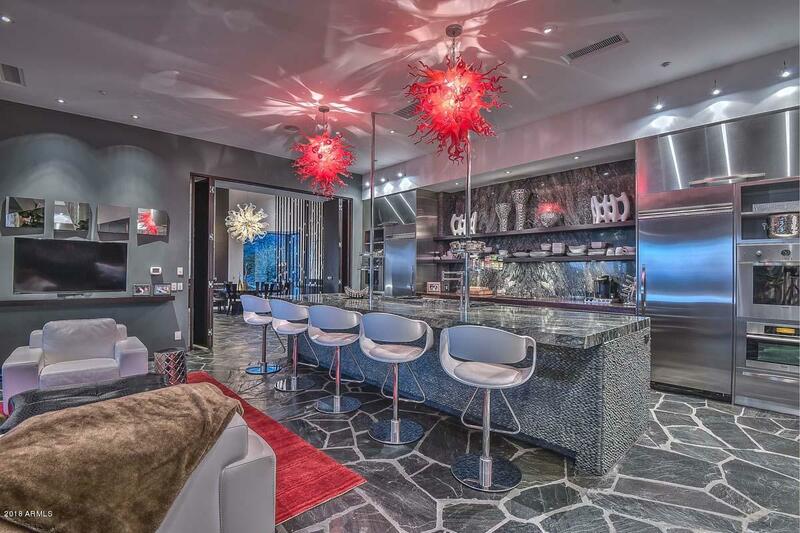 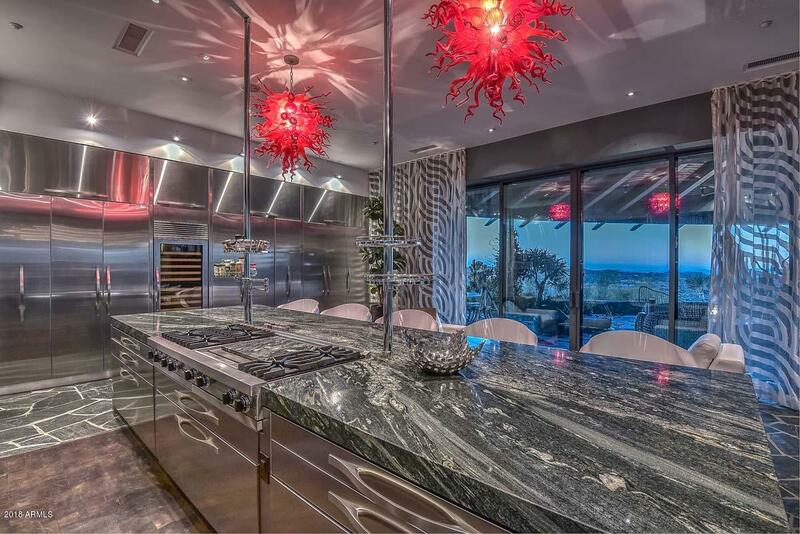 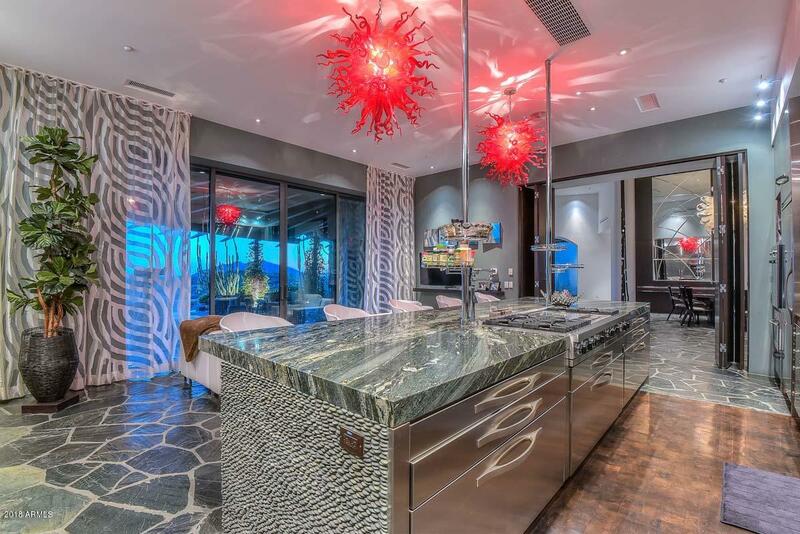 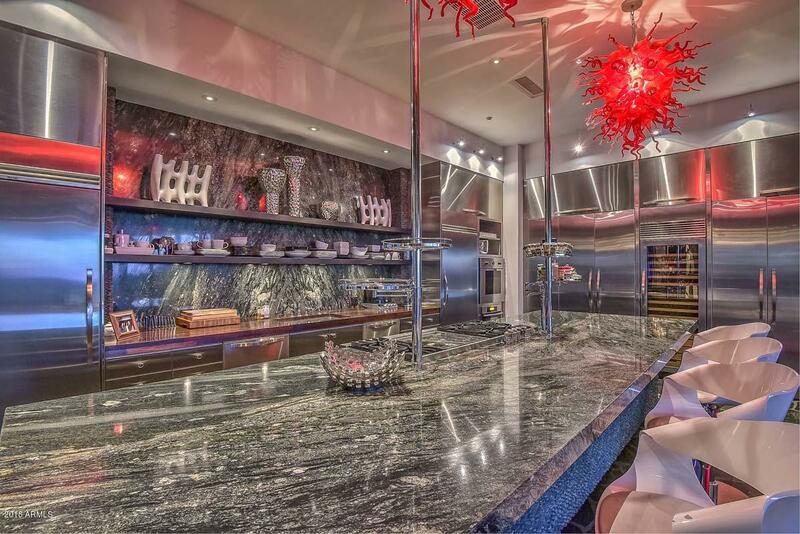 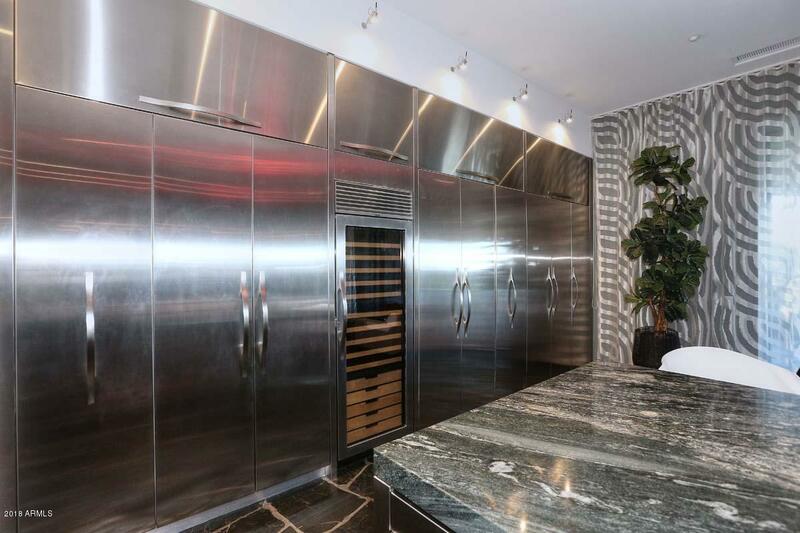 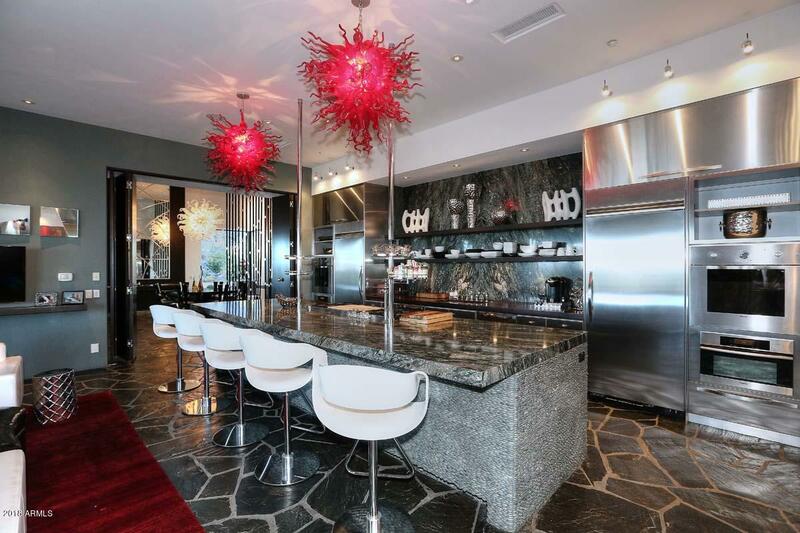 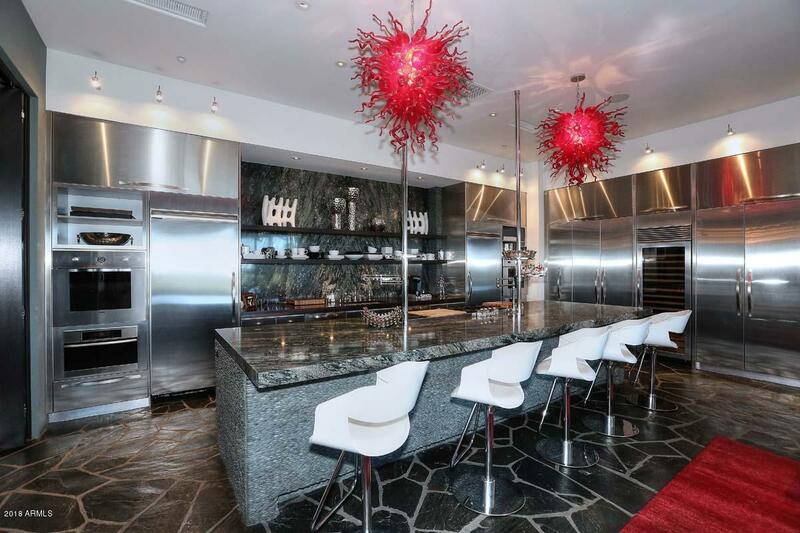 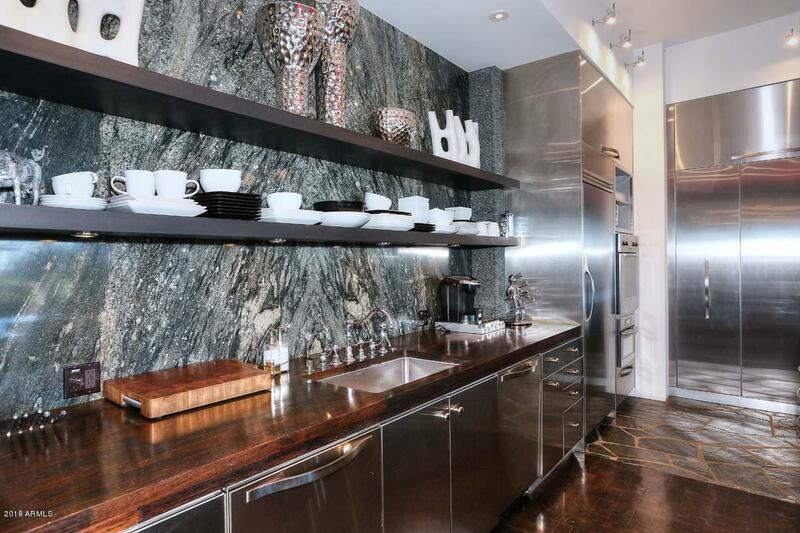 The one of a kind Professional Chef's Kitchen hasa butterfly slab backsplash and seating island, exotic Wenge Wood slab counter and gorgeous stainless steel cabinetry designed by Julians. 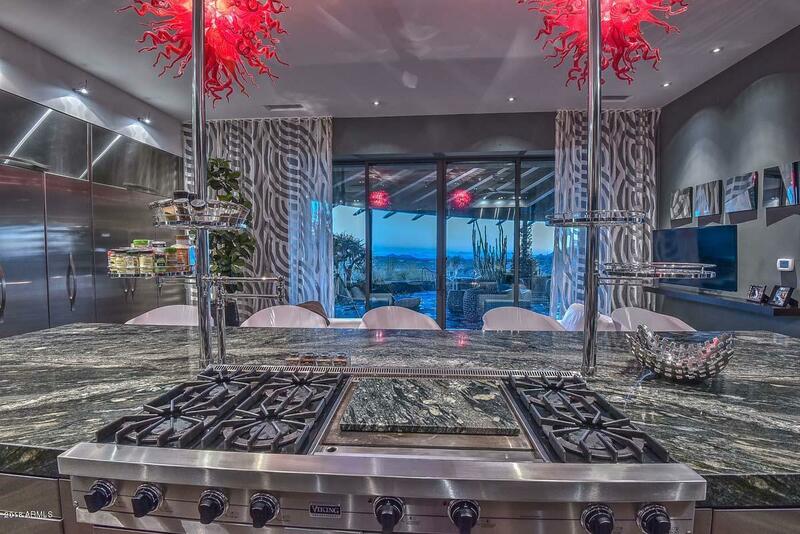 A Viking 6 burner gas range, dual ovens, well organized built in pantries and a view that you can't get enough of. 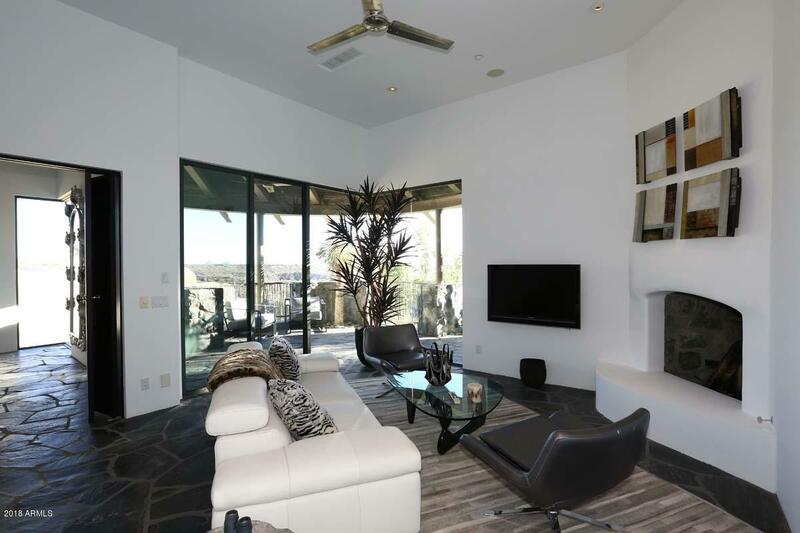 Every room was perfectly planned to take advantage of the transition from indoors to outdoors with walls of windows, beautiful fireplaces and patios that flow with ease. 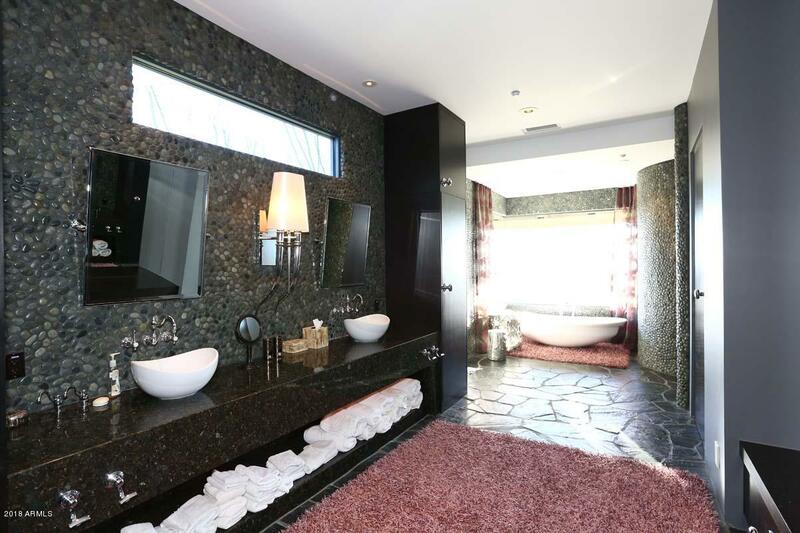 Another unique feature of this home is the extensive use of Peruvian imported pebble stone in the bathrooms. 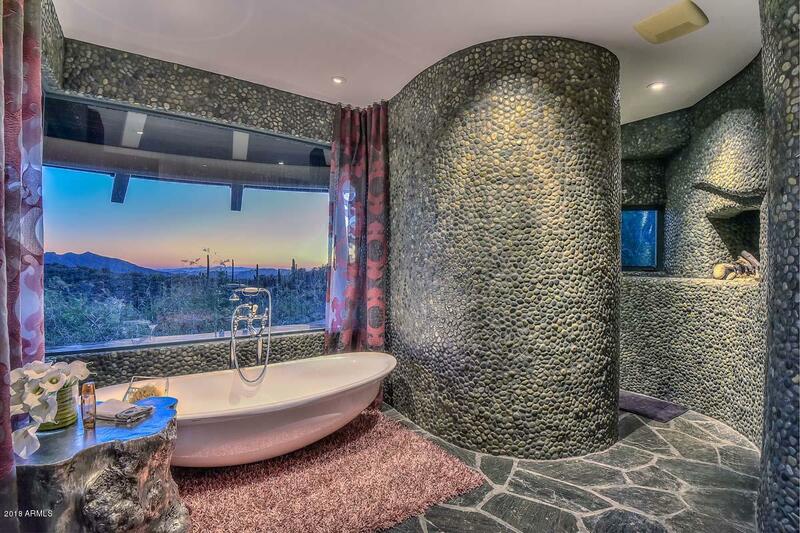 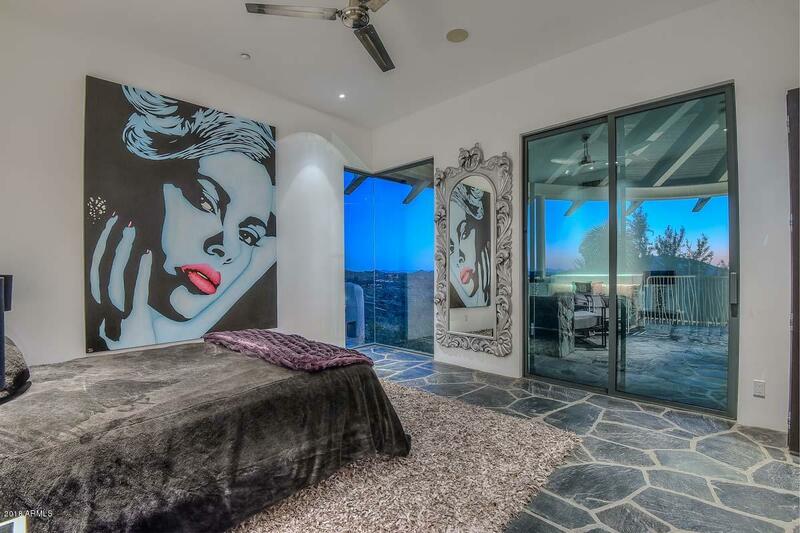 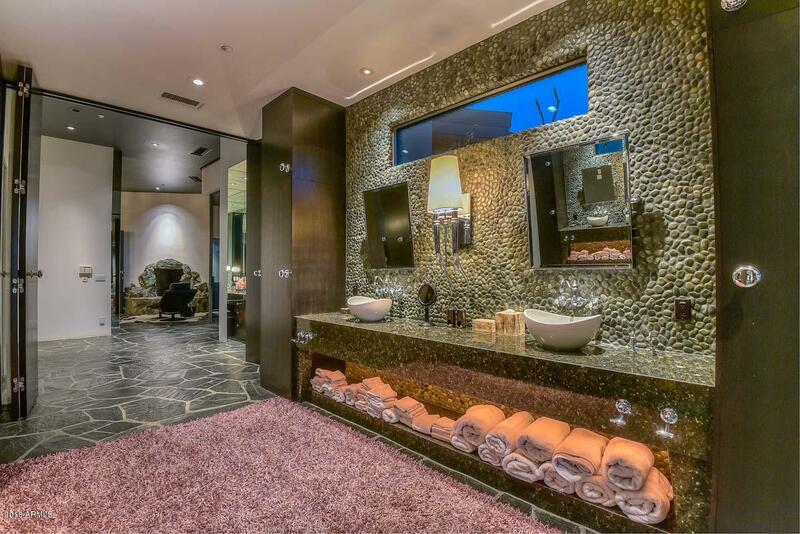 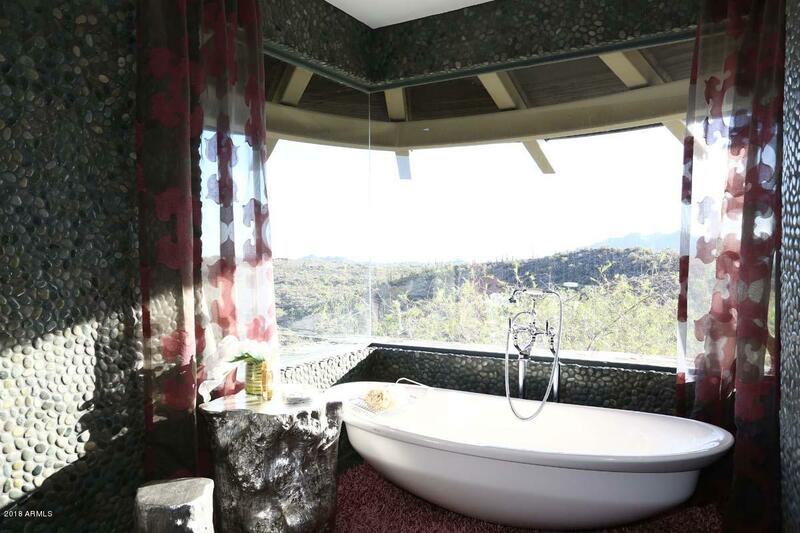 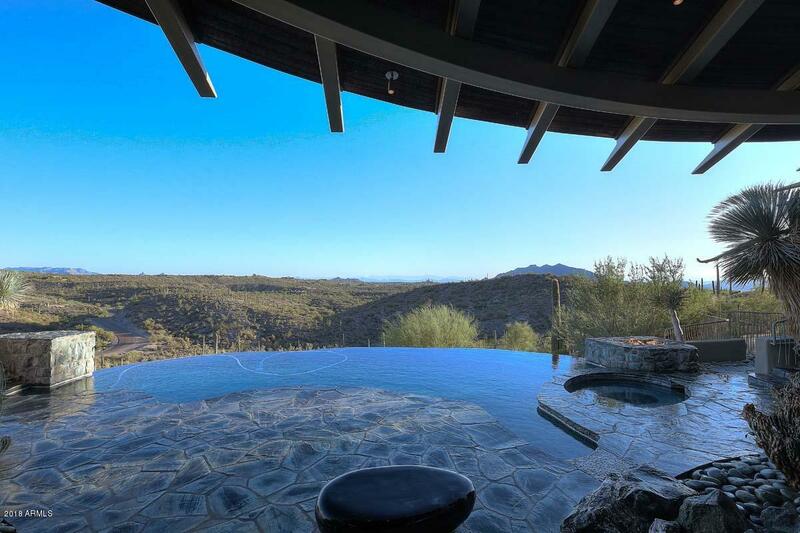 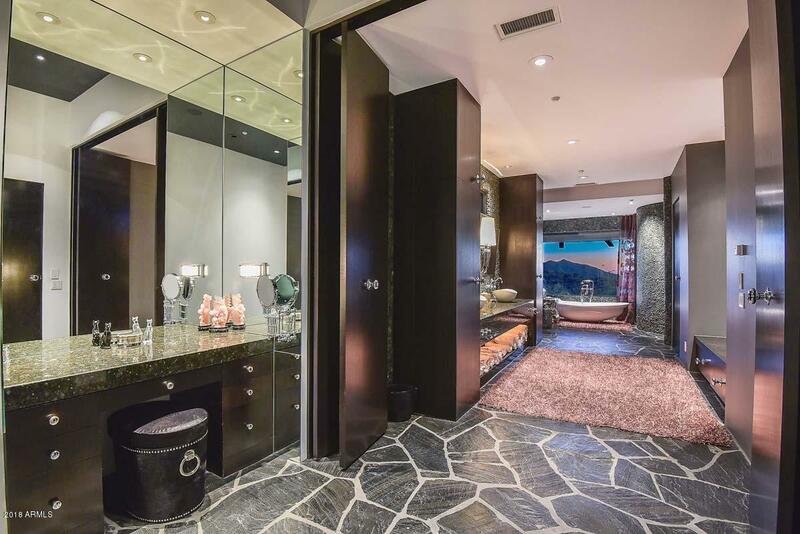 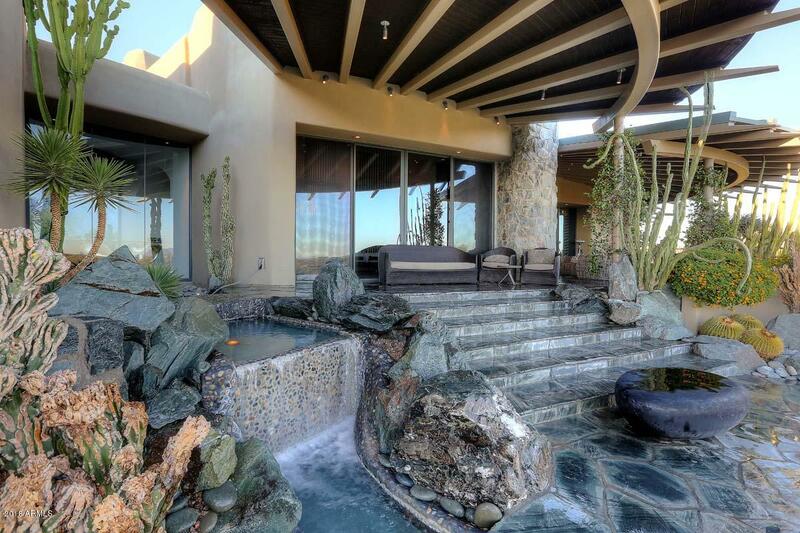 It graces the walls and curves gently past the fireplaces into the shower and surrounds the master bath slipper tub that sits majestically overlooking the surrounding desert. 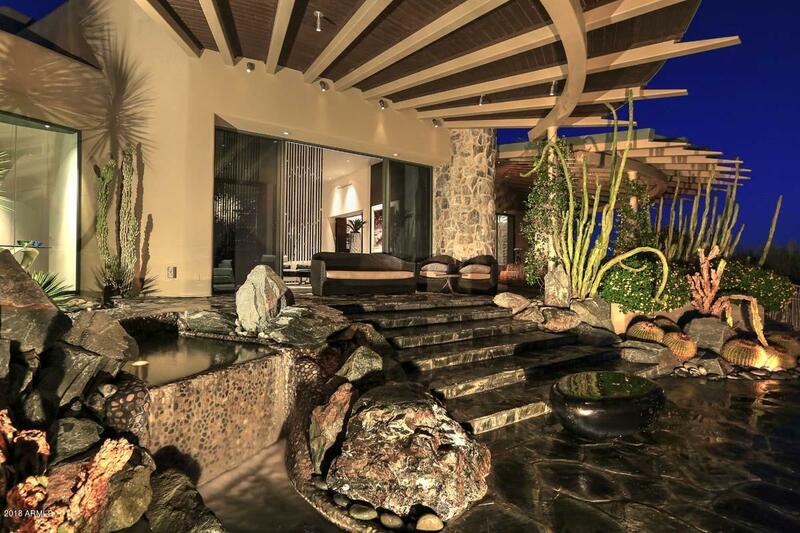 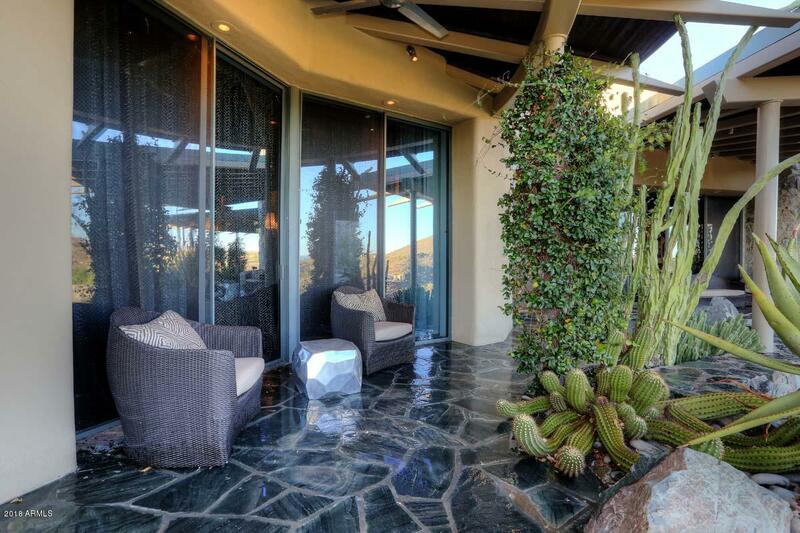 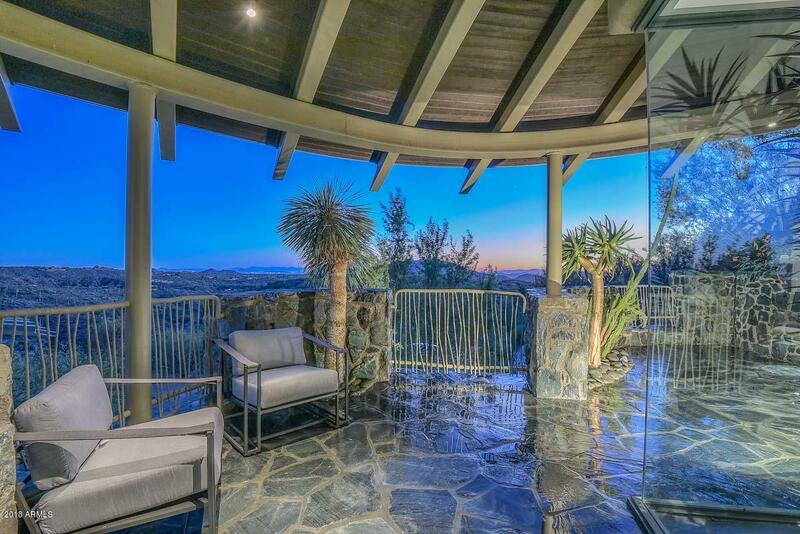 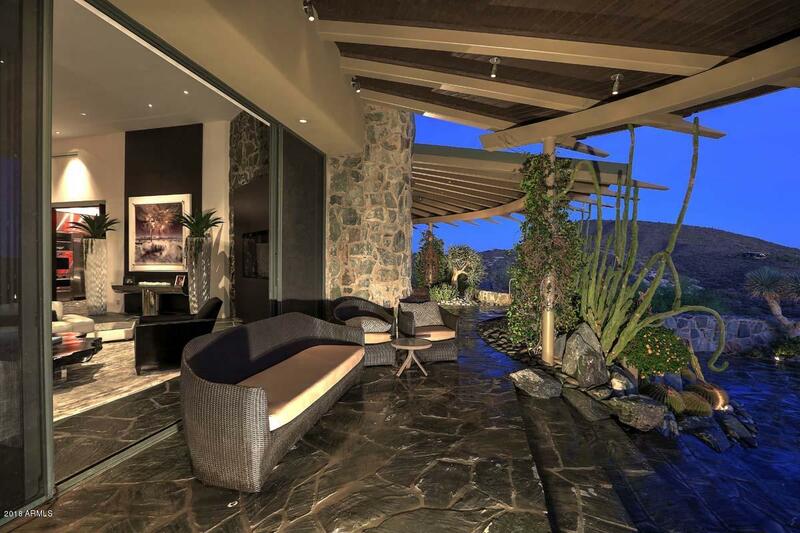 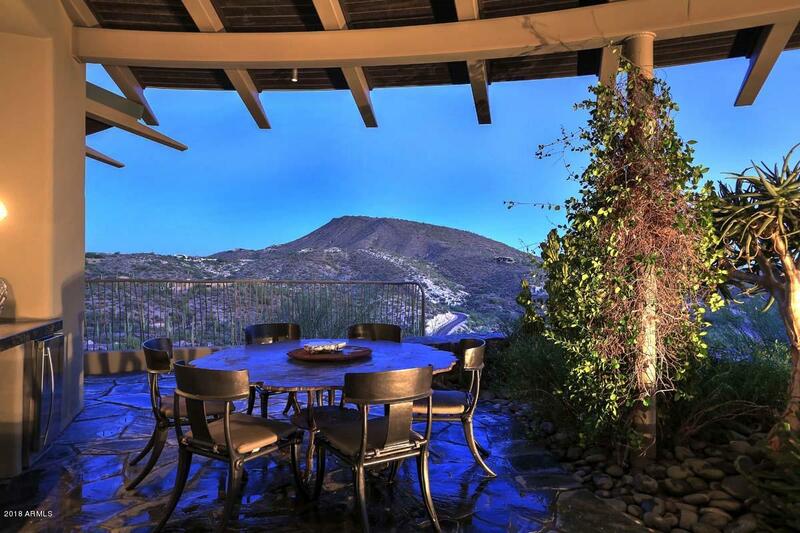 The outdoor living is just as magnificent as the indoor living - city and mountain views are everywhere. 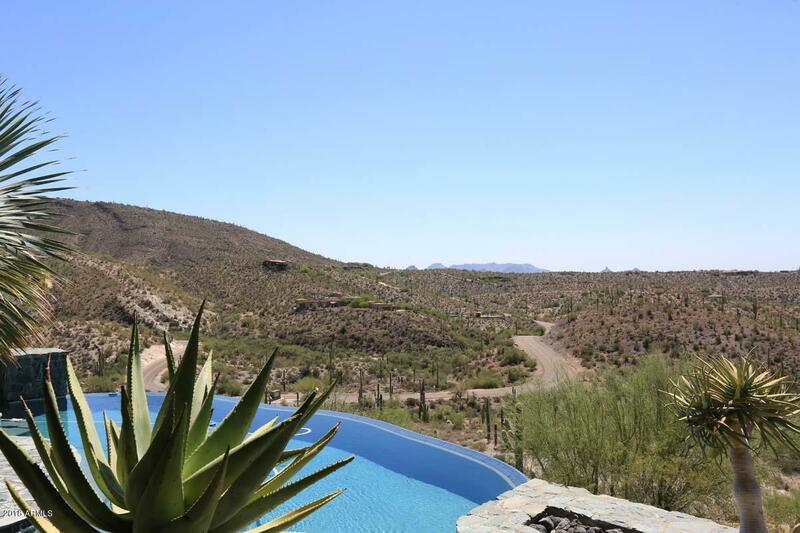 Enjoy them as you splash in the negative edge pool that is surrounded by fireplaces, water falls, stone and succulent desert landscaping. 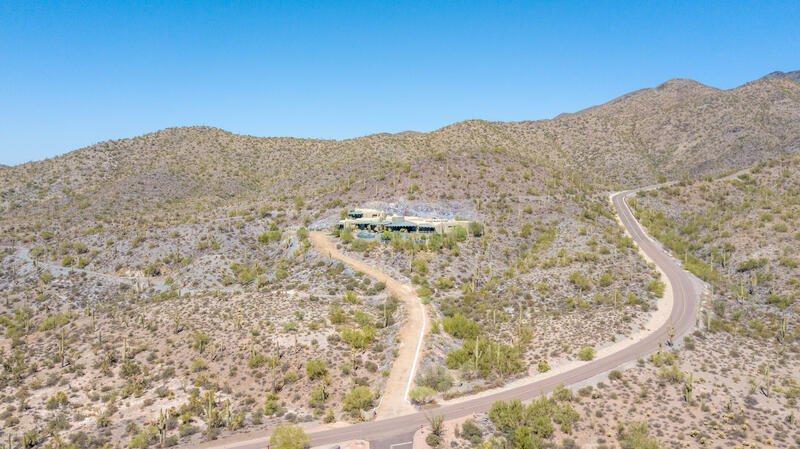 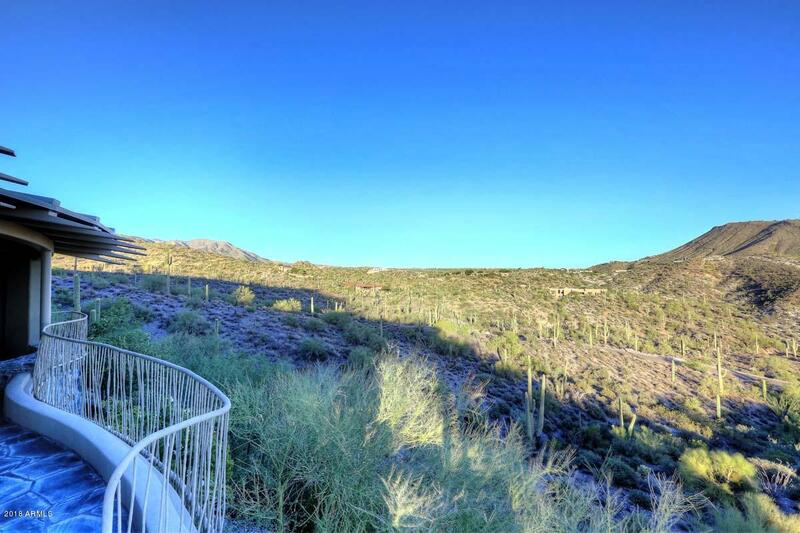 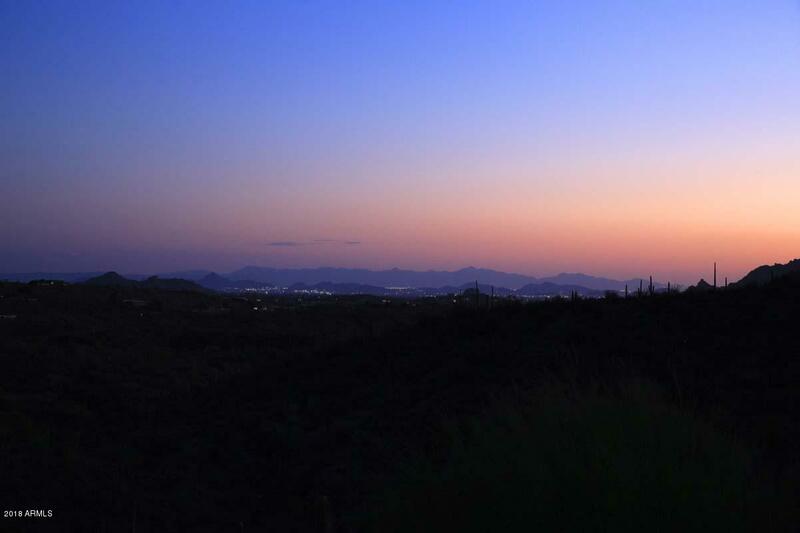 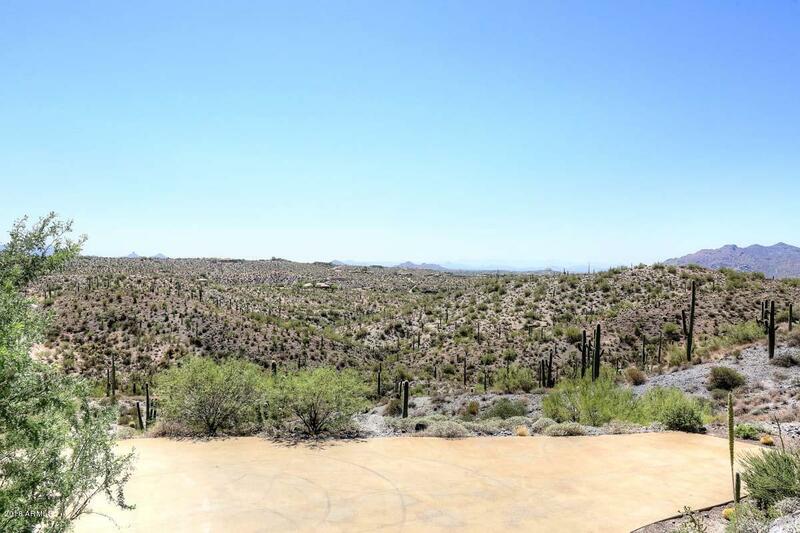 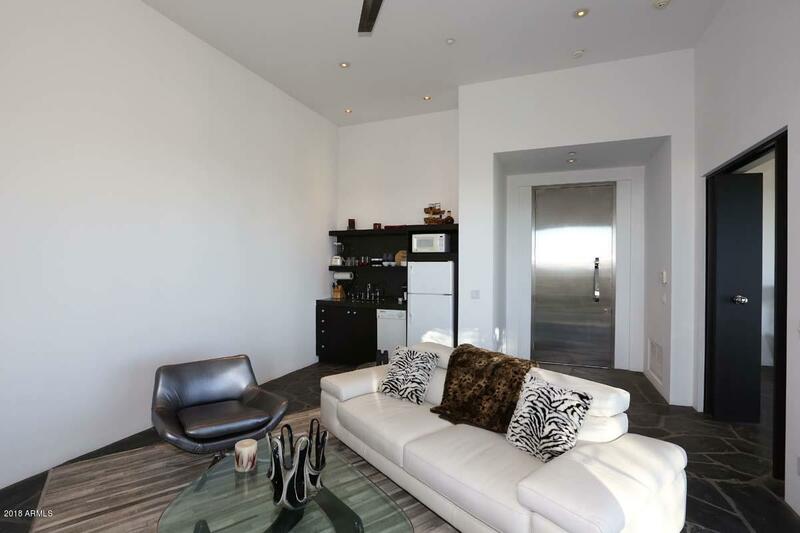 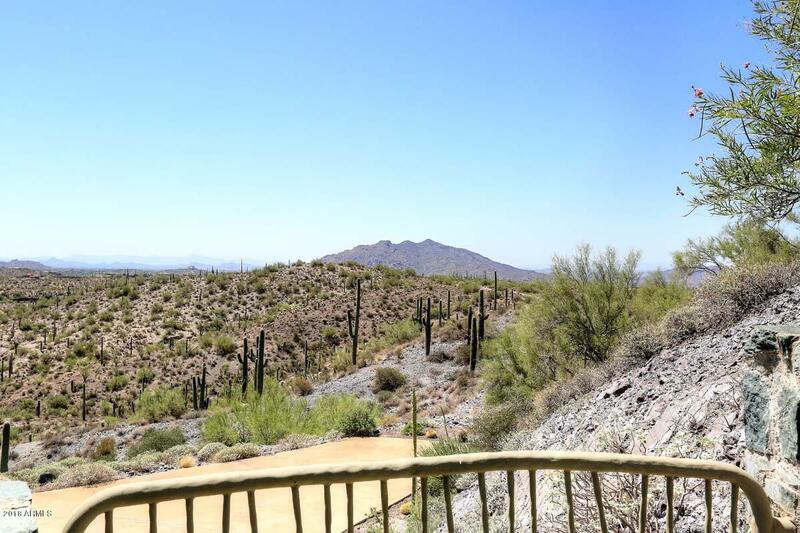 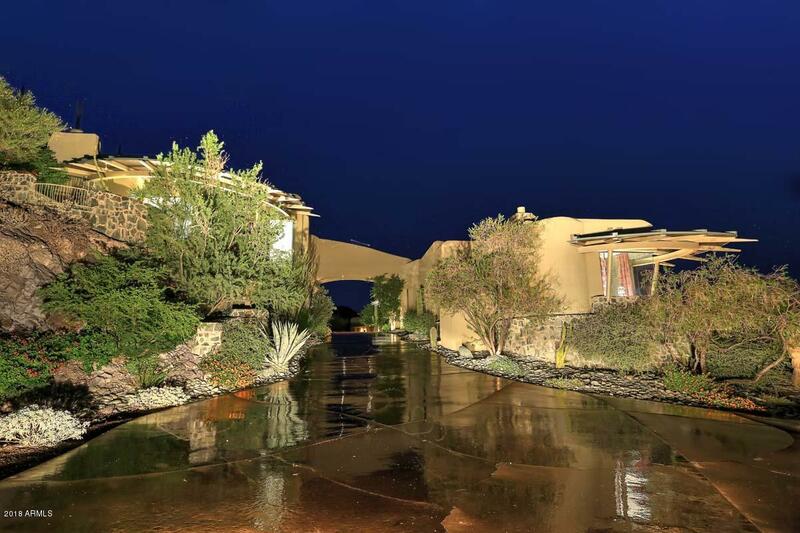 On your journey through this fantastic home you will find a guest home that is appointed in the same fashion as the main home and takes care in showcasing the natural beauty that is Arizona. 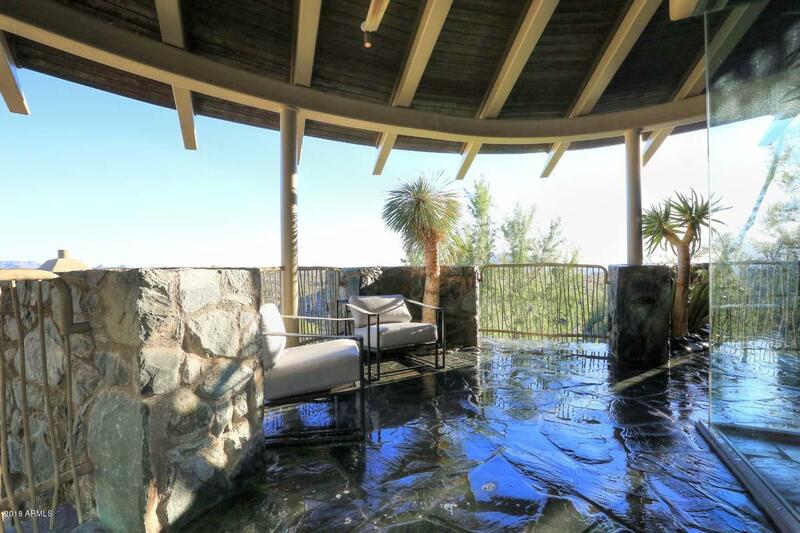 Sage Shadows - this home is pure perfection. 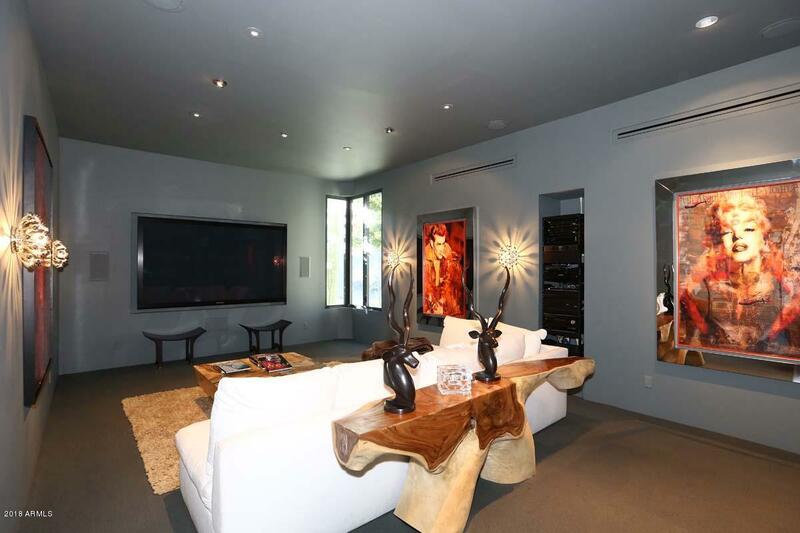 Will be shown by private showings only and with proof of funds.